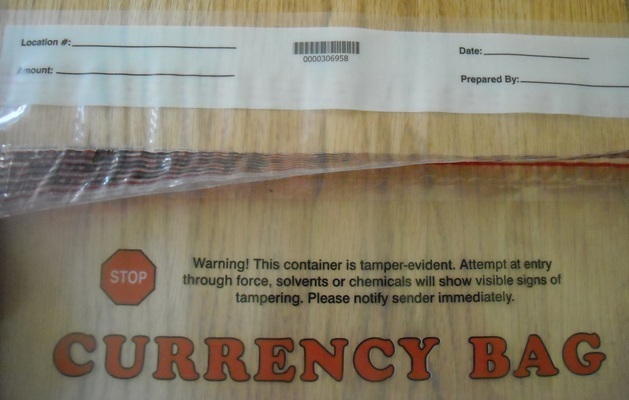 Our 15 inch x 20 inch E204 Muscle-Pak® Federal Reserve Approved Clear Bank Currency Bag comes in a package of 100. 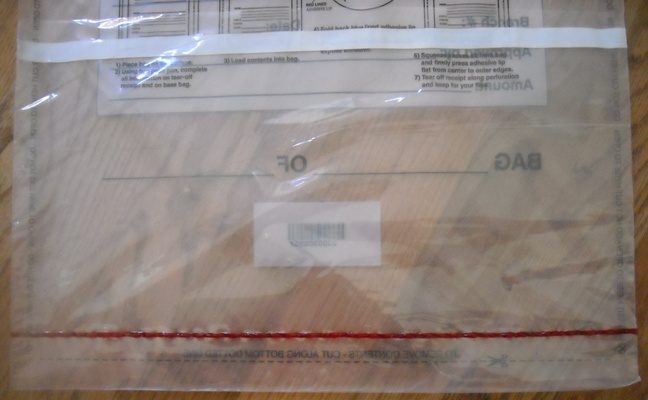 This Muscle-pak® currency bag has a tamper evident adhesive strip closure, sequential numbering, back pouch with adhesive closure, barcodes and tear off receipt at top of bag. Currency bag has three barcodes with sequential numbering; two on bag and one on tear off receipt. These currency bags are meant to hold one denomination per bag of one dollar bills, five dollar bills, ten dollar bills, twenty dollar bills, fifty dollar bills and coin. Federal Reserve approved bag. 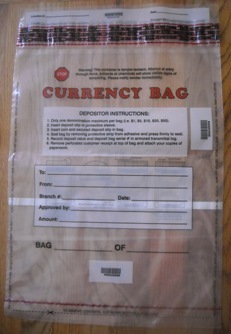 A great currency bag at a great price for your cash handling needs! 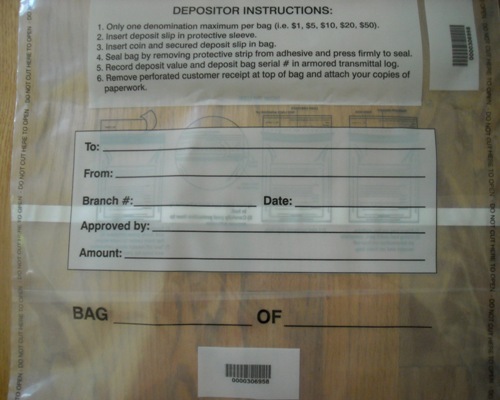 Go to top of this 15 x 20 Federal Reserve Approved Clear Plastic Bank Currency Bags, 100 page.